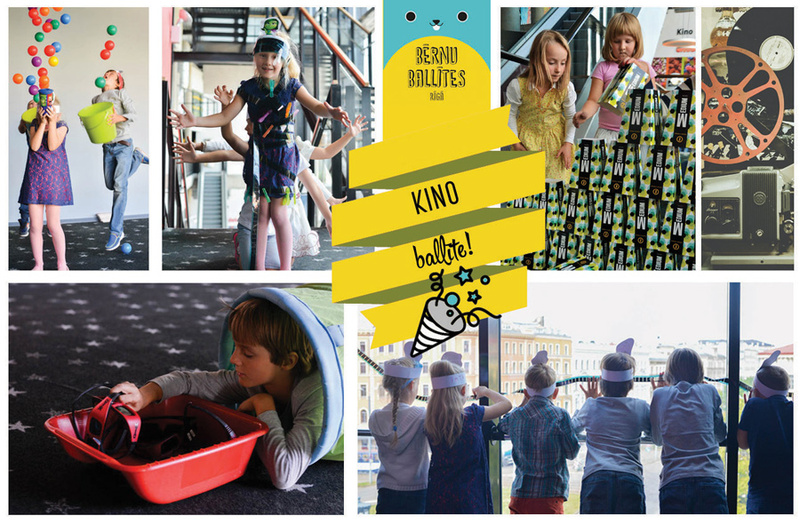 Invite your family and friends and celebrate your birthday in a jolly and original way in the cinema "Kino Citadele". You will only have to take care of good company and your good spirits to combine the birthday celebration with the viewing of a new movie. The cinema "Kino Citadele" will present the hero of the day with a free of charge ticket to the show, a free of charge special popcorn package, it will also let you and your guests see from the backstage how films are shown during a special free of charge tour of the services rooms of the movie theatre. We offer your guests to buy tickets and special popcorn packages for particularly attractive birthday celebration prices. Drinks available with the Birthday pop-corn set: Coca-Cola, Coca-Cola Zero, Fanta, Sprite (on the tap), water Neptunas (bottled, still or carbonated). Minimal number of birthday guests – 6, maximal – 15. How to book a birthday party? For a weekend birthday party, booking is required before Thursday, 12:00, on the same week. For a weekday birthday party, booking is required at least 3 workdays in advance. To apply, please fill in the application. We will process the application and send you the confirmation and description at your e-mail address. Please read the FAQ section. You can also write us at bizness@forumcinemas.lv or call 67357608 (Monday thru Friday, 9:00 – 17:00). How many guests do I show if their exact number is still unknown? State the maximum amount. You will have to pay only for the guests that show up. What is the time of excursion? The excursions start 30 minutes before the movie and last for about 20 minutes. If your movie starts before 13:00, the excursion will take place after the movie. - directions where to go. Other details will be explained by our staff once you arrive at the cashier’s desk. We expect you to be in the movie theater at least 50 minutes before the movie starts – this will give you enough time to pay for the tickets and receive details about the event from our staff. How come I can’t see the movie times for the chosen day? The movies are scheduled on Mondays for the period of current week Friday until next week Thursday. The current schedules are available at the home page beginning Tuesday. Boys and girls! Can you imagine, that a big house, were cinema lives, suddenly becomes a hottest spot of your birthday? Amazing games, funny tasks, cinema backstage and making stylish cartoon heroes in creative workshops together with friendly party hosts, and it all for your celebration. After a program full of adventures, you all together will watch the newest and most interesting cartoon. Invite your friends and get ready for your coolest cinema visit! Host of the party with cheerful and creative program (2h) "Adventures in the cinema"
Welcoming of the birthday hero and his guests. Funny games and creative activities. Blowing candles and congratulating birthday hero. Accompanying children to the screening room before movie. Regardless of the number of guests, party is serviced by minimum two people – the host of the party and coordinator of the party. Movie popcorn packages and cinema tickets for particularly attractive birthday celebration prices. Party is for fun not for great costs. Duration of the program is two hours. Program is adjusted to the age of the birthday hero and his guests as well as wishes of parents. Regardless of the number of guests, party is serviced by minimum two people – the host of the party and coordinator of the party. We host parties in Latvian, Russian and English. Host and program "Adventures in the cinema"
Minimum number of guests: 6. Reservation at least 10 days before event: e-mail olga@cinemasolutions.lv, phone +371 29761123. Once we receive the form, we will contact you for the details of your visit to the movie theater. The order form has to be filled in completely, otherwise it will be considered invalid.